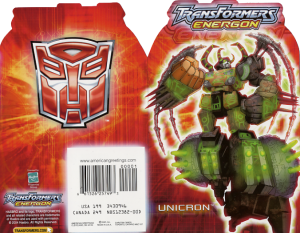 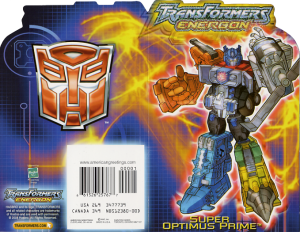 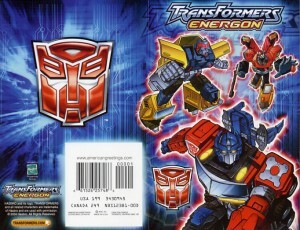 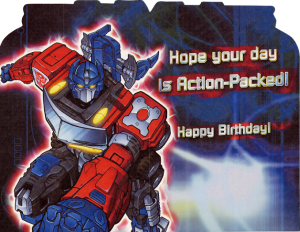 In 2004 Hasbro teamed up with American Greetings to produce Transformers Energon Birthday cards. 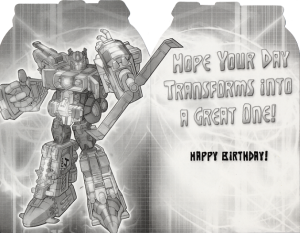 You can see 3 different versions of the cards in the gallery. 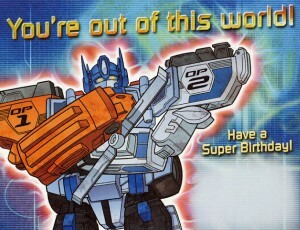 The Super Optimus Prime and Unicorn feature die-cut and the Super Optimus Prime one even has sparkles!